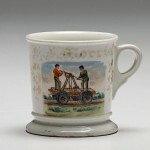 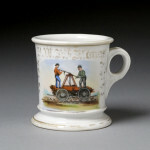 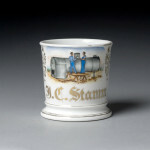 Railroad Shaving Mugs are a fun category to collect in because there are so many different professions within the category that there is plenty of variety. 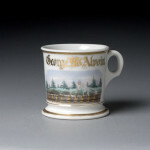 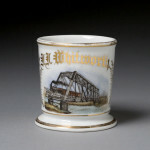 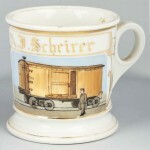 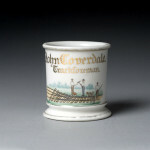 In addition, many railroad mugs are decorated with extra information telling us the railroad or route that the owner worked on, which we don’t often have with some more standard occupational designs. 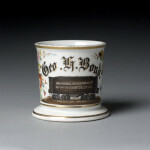 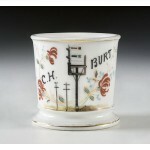 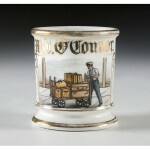 Some occupations found on railroad mugs include, engineer, conductor, signalman, surveyors, and more. 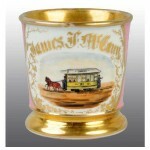 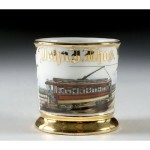 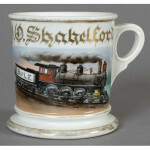 Most mugs feature images of a trolley, traincar, or locomotive but there are other scenes that can be found. 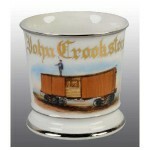 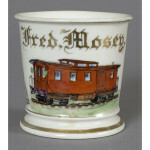 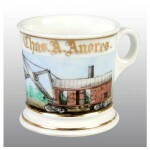 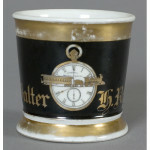 For help establishing the value of your railroad mug, please contact us on the contact page.